It is at a point in time in a world like ours but with a few people who are able to travel through time. 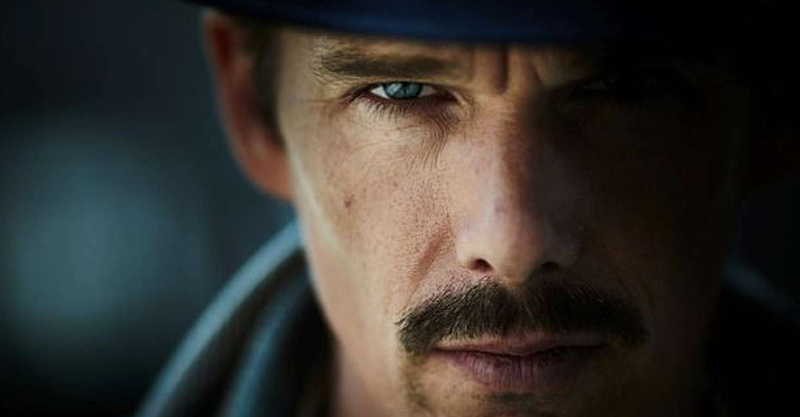 Agents, like The Bartender (Ethan Hawke), who is trying to track down a bomber and stop him from killing thousands. His boss is Mr Robertson (Noah Taylor), and then there is the story of The Unmarried Mother (Sarah Snook), a mysterious character who has a terribly sad story to tell. There is a lot that works so well for this film; it was wonderful to see Ethan Hawke back at his best, and Sarah Snook was also wonderful. The storylines became necessarily convoluted, but I was totally engaged, mostly because of how much I liked the characters. I would say, however, that if it were the intent of The Spierig Brothers to create a story that had great twists and turns, it didn’t work that way for the viewer. For me, I didn’t mind that I could pick where the plot was going; there was pleasure in seeing the characters make the connections.